People from various cultures and ages have been drawn to fortune-telling with different oracles since ancient times. Some of the divination methods have changed a little over time, especially with online fortune-telling, but their power has passed the tests of time and remains the same today. Even stronger. When combined with the energies of your intuition, the oracles become an even more powerful instrument, that allow you to see what is hidden from others and help you make the correct decision in any situation. If you choose to look at the oracles seriously and follow their sacred rules, you will find that they can give accurate and detailed answer to your questions. Fortune-telling has the ability to clear your doubts, help you see the unseen truths and navigate you throughout your most difficult times. Online fortune-telling is a convenient, affordable and easy to use instrument that has the power to show you the way when you’re facing a dilemma. It does not require you to have special skills, talents or knowledge… or to pay someone! These ancient divination systems are not to be underestimated, because if used right, that is with your intuitive ability to see beyond your eyes, they will help you when you need guidance to find the best solution. We have collected various oracles and prediction systems in this section of our website for you to experience their wisdom and they are all free to use. Some are quite serious and old divination methods, while others can be used just for entertainment purposes. You are free to use them whenever you need to get answers about urgent problems related to your love life, family, well-being, finances, career or any other area of life. Or when you just need to have some fun time. 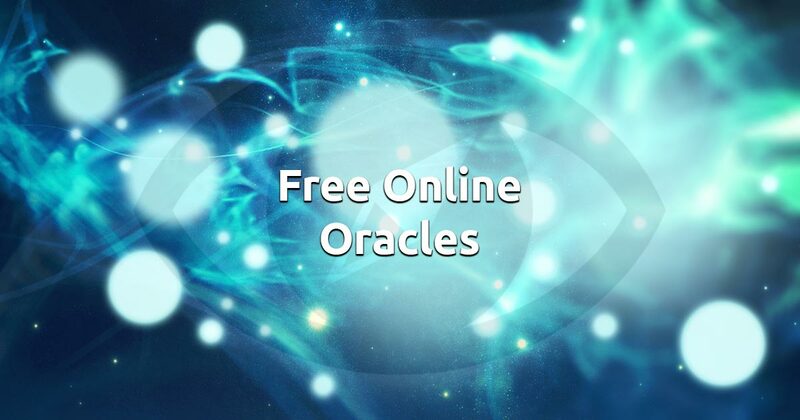 Enjoy our free oracles!